In your search for insulation companies that you can trust to take care of the insulation in your home in Cincinnati, Ohio, there’s only one name you should look for: 31-W Insulation. We have been trusted for our insulation expertise since 1972, and with good reason. We are committed to making sure that our customers’ needs are taken care of, which stems from our values as a family-owned and -operated company. And, since we only hire our own trusted insulation experts, not subcontractors, you can put your faith in our team as one that works hard to meet our high expectations of customer satisfaction. In fact, it’s part of why we are one of the few insulation companies to hold a consistent A+ rating with the Better Business Bureau. 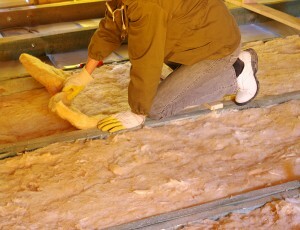 At 31-W Insulation, we want to make sure that you’re getting the most out of your insulation. That’s why, when you hire us to insulate your home in Cincinnati, Ohio, we’ll install premium insulation from trusted companies like Owens Corning® and CertainTeed, so you can rest easy knowing that the materials will perform well for a long time to come. To learn more about what sets us apart from other insulation companies in Cincinnati, OH, and to schedule a free estimate in your home, contact 31-W Insulation today.